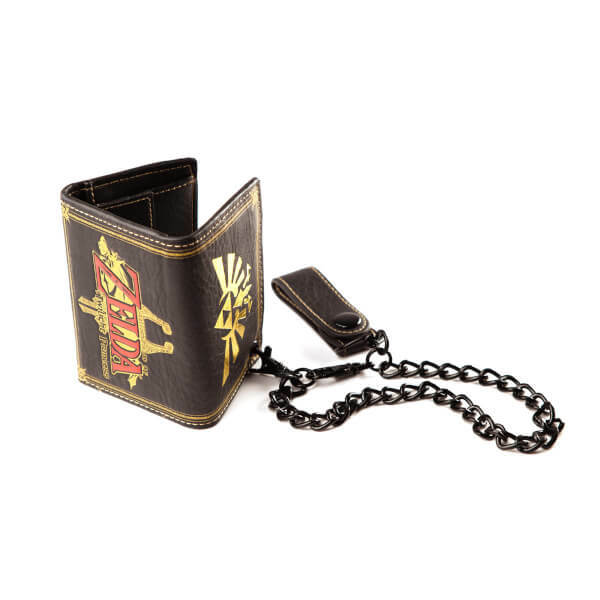 This The Legend Of Zelda Tri-fold Chain Wallet features the Hyrule Crest and Twilight Princess logo on the exterior, and includes a chain. 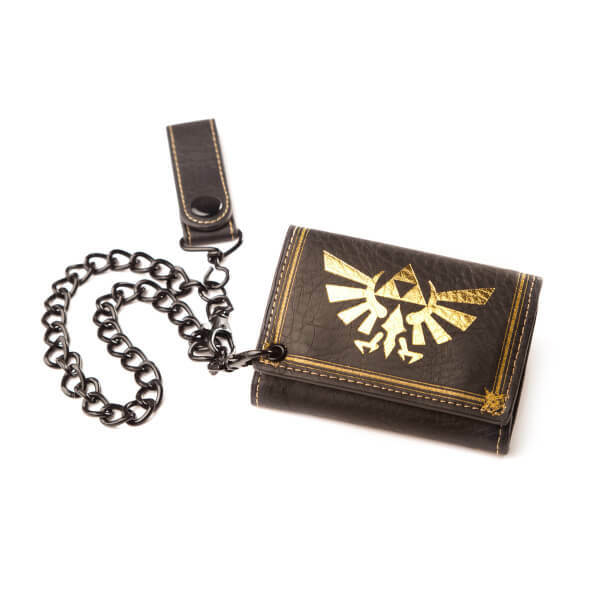 The ideal gift for fans of The Legend Of Zelda. It may be because it is new leather, but it is very stiff. 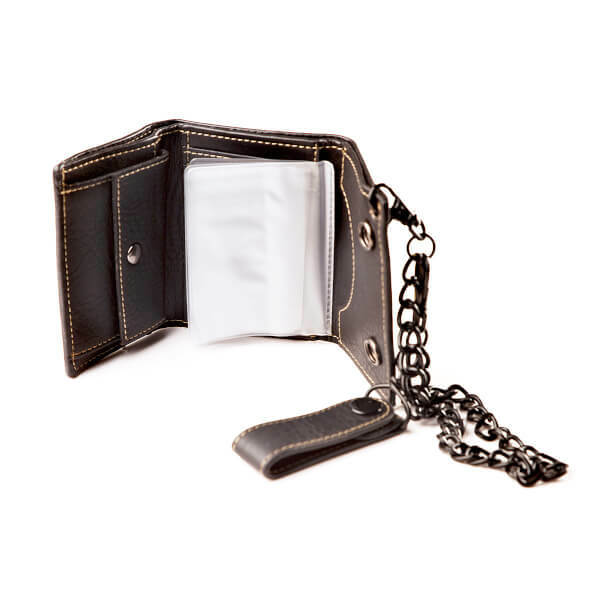 Stiff to the point where, once cards & coins are inserted, it is VERY difficult to close. It does, however, look stylish. If you only use cards, I suspect it might be a wallet for you. 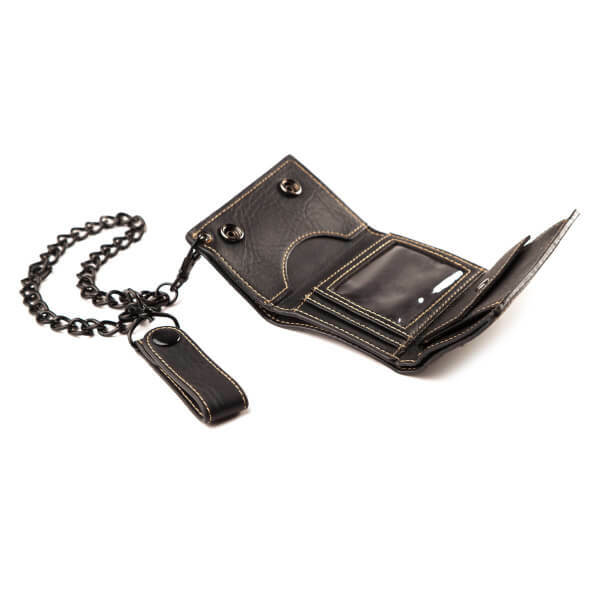 Wallet itself is nice , however it’s to compact and sometimes depending on money inside can be a pain to close, also to get the chain off the wallet you need to spend some time trying to get it off, so it is secure.